Most people own a beautiful tea cozy, even if you never use the pot beneath it. You probably also cover your mobile, mp3 player, tissues etc etc. You name it, we cover it. Mainly I think this is to inject a bit of our own personality into objects which often lack any. If you’re a creative person you probably prefer to make such covers yourself. 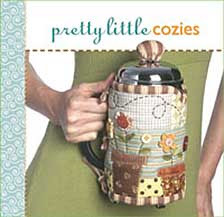 I was therefore delighted when I received a copy of Pretty Little Cozies by Lark Books from GMC Publications. The book features 32 projects to makes various cozies/pockets and is written by a selection of designers. It begins with a very useful section on cozy basics. This includes materials required and techniques which are covered. I found the explanations and drawings to be clear and easy to follow. If you’re a regular reader then you will know that we always review books by actually testing them out. So I started by making a cover for a packet of tissues, seen here. It came out so well that I intend it to be a present for a relative. There are many designs in this book and they are quite varied covering everything from a games controller cover to a pan handle cover. Once I had completed one project successfully I was eager to try out another as soon as possible. So next I tried out the camera case. I used vintage fabric for this project and I think this is one area where the book really excels. 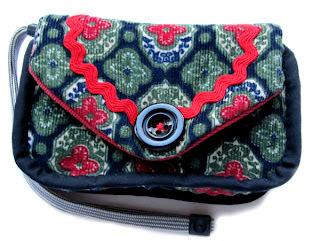 All the designs are small enough that you will probably be able to make them from scraps of fabric you already have. Personally I find nothing more satisfying than being able to launch straight into a project without having to hesitate while I stock up on supplies. 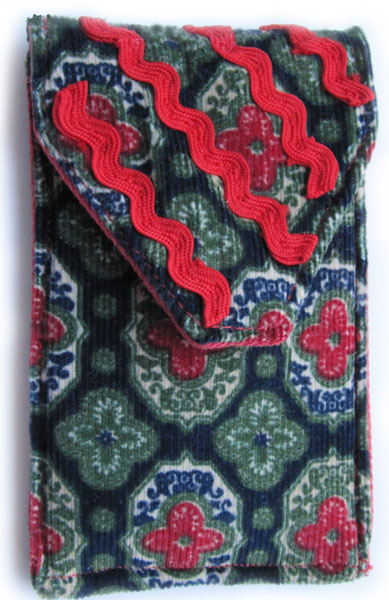 I also made a mobile phone case out of the same fabric and again I’m very pleased with the results. Would I recommend this book? Definitely! It has so many projects that there’s bound to be one or two that will inspire you. 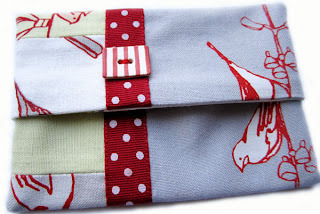 There are also many ideas for gift giving. Could it be improved in anyway? Not really. The only suggestion I would have and this is based purely on my own personal taste, is that I thought some of the projects looked slightly old fashioned. Largely due to the fabric choices used. But as I say this is only my own preference and really does not affect the quality of the book or the designs it contains.